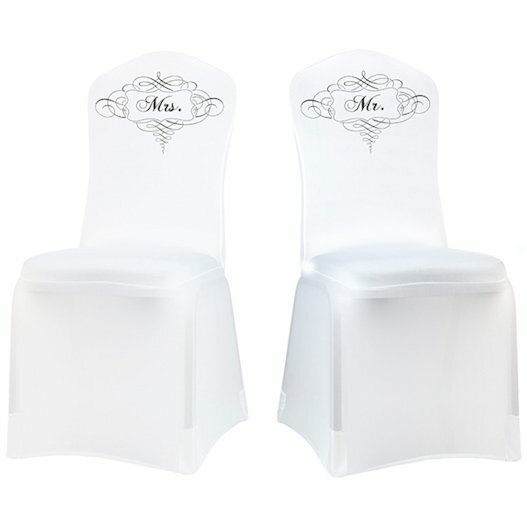 SHARE Use these bride and groom chair covers to point out the new Mr and Mrs in a special way at the reception. This Mr. or Mrs. 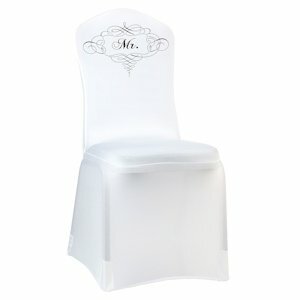 Chair Cover in white is a fun way to make the head table look regal. The covers have their couple's titles (Mr. or Mrs.) scripted in black inside a looping line graphic. 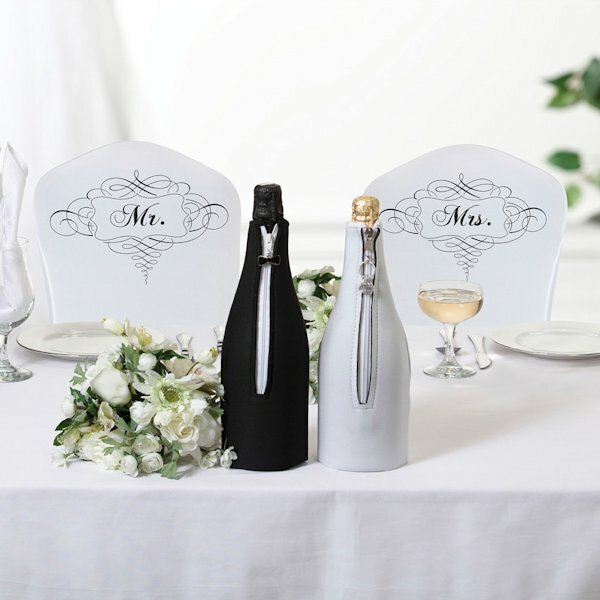 They'll stretch to fit most reception venue chairs and look grand at the head table.